PGS – Bhutan, here we come! Just got an email from the office of His Royal Highness the Prince of Bhutan. We have been granted an audience with the Prince in early October. 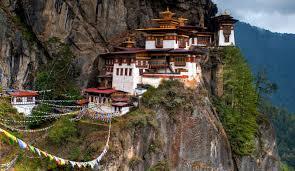 So we will fly into Bhutan straight after the Indian Mother Ganga tour finishes, at the end of September. I’m thrilled to bits, because the Royal Family will be preparing for two months of ceremonies and celebrations in October and November, commemorating the 60th birth date of His Majesty the King of Bhutan. I wish to speak to His Royal Highness about intuition – and whether intuition helps make Bhutan the happiest country on the planet. Our filming in this magical place will make another significant contribution to the film. What a coup Bill! You’re a legend. Fantastic Bill and what about doing an extension of Mama Ganga Tour ,some opportunities do not strike twice…. Wonderful thought Marie, thank you – but this is an invitation from the Royal Family. Perhaps though we could bring back a group at another time? Busses!!! I knew the answer Bill but it is wonderful for you and fantastic also for us to have great posts about this country very mysterious. And put me on the roll for the Bouthan tour.bises. It should be wonderful Janet, yes…!